The routes below are attempt to find long interrupted and interconnected stretches within the central/west Austin area. The idea is to show several “base” running routes through the neighborhoods. The routes (loops) may be cut to make for shorter route options or pieced together for even longer routes; both the Shoal Creek and Johnson Creek Greenbelts connect with the Town Lake Trail and Barton Creek Greenbelt systems. 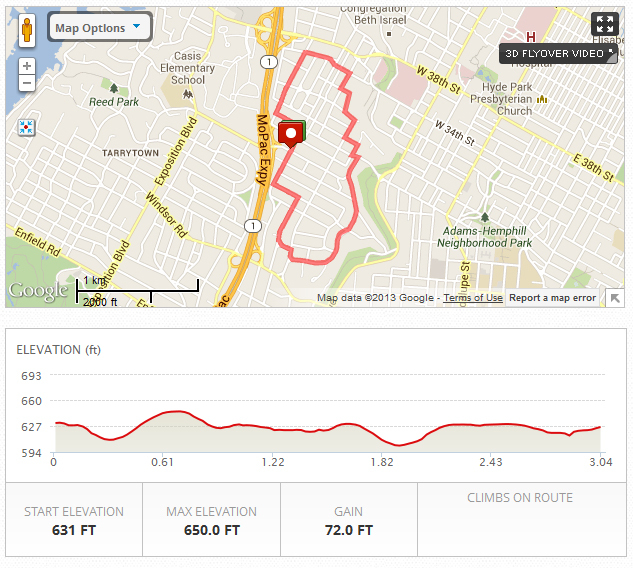 In general, the routes west of MoPac have more hills some of which are quite significant. Exercise caution when crossing under MoPac on Northwood Road. The primary safety challenges for all these routes are the major road crossings and intersections. However with some planning and creativity, the crossings can be minimized – especially along the greenbelts. Please note that many central Austin streets and some roads lack sidewalks. Where this is the case, special caution is advised. Traffic is not usually too bad except for morning and afternoon rush hours. The routes make use of Google maps and are archived at the http://www.mapmyrun.com. Concerned about Austin’s air quality? The EPA’s “AIRNow” website provides real time air quality reports and quantifies “Ozone Action Day” pollution levels. The main challenges running in this area are crossing Windsor, Exposition and Pecos; longer option includes crossing of Enfield and possibly Lake Austin Blvd. Distance can be added by going either around Lions Municipal Golf Course or by heading south on Exposition and picking up the Town Lake Trail on Lake Austin Blvd. Both the Shoal Creek and Johnson Creek Greenbelts connect with the Town Lake Trail and Barton Creek Greenbelt systems!